With more than three million foreign-born residents today, New York has been America’s defining port of entry for nearly four centuries, a magnet for transplants from all over the globe. These migrants have brought their hundreds of languages and distinct cultures to the city, and from there to the entire country. More immigrants have come to New York than all other entry points combined. City of Dreams is peopled with memorable characters both beloved and unfamiliar, whose lives unfold in rich detail: the young man from the Caribbean who passed through New York on his way to becoming a Founding Father; the ten-year-old Angelo Siciliano, from Calabria, who transformed into Charles Atlas, bodybuilder; Dominican-born Oscar de la Renta, whose couture designs have dressed first ladies from Jackie Kennedy to Michelle Obama. 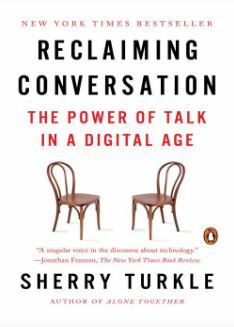 Tyler Anbinder’s story is one of innovators and artists, revolutionaries and rioters, staggering deprivation and soaring triumphs, all playing out against the powerful backdrop of New York City, at once ever-changing and profoundly, permanently itself. 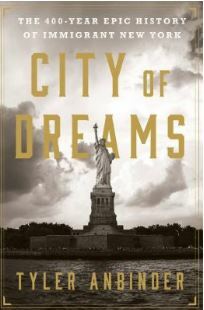 City of Dreams provides a vivid sense of what New York looked like, sounded like, smelled like, and felt like over the centuries of its development and maturation into the city we know today.